Most people in Auburn remember the Blizzard of ’93 for the half a foot of snow. Britney Barker Byrne, 41 as of today, mostly remembers it for the masked intruder. She hadn’t been in the shower long. She was cleaning up because the talk was that they’d go out, marvel at the Loveliest Ghost Town on the Plains and enjoy the snow day of snow days the way college kids do. There was already a snowball fight going down in the College Park courtyard. A mile or so away, some guys were building a Batmobile. And even though it was a long shot, the roommates were actually going try to find a place for a birthday lunch (which they eventually did, at La Fiesta, probably the only restaurant that decided to open). She was turning 19 that day, March 13, 1993, but having been matched with older girls, it being her first time away from home and all, she was still the youngest in the apartment. And that probably played a part in it. Not that it was some sort of hazing or anything. They weren’t picking on her… it’s just who else better to get a rise out of than the out-of-state (Kentucky) freshman AOPi birthday girl? “Who is it?” Nothing. Great. She stepped out, wrapped a towel around herself, carefully walked to the door and cracked it open. He looked like an animal. She wasn’t hurt, just dazed. She heard people laughing. It took her a minute or two to process what had happened. Aubie–that Aubie–had just busted in on her in the shower. On her 19th birthday. During the snow storm of the century. The roommates—she still doesn’t know which ones—put him up to it. They had to have. A couple of them were friends with some football players, cheerleaders, those types of people, the “spirit crowd,” says Byrne, who her senior year would go on to become part of the spirit crowd herself as drum major. And some of the spirit crowd were part of the actual crowd outside, walking in the winter wonderland. Looking back on it, that had to be why Aubie was there. But after that, he wasn’t there much longer. “As soon as he heard the scream and saw the aftermath, once he saw me screaming and ripping things down, he left,” she laughs. Once she got over the shock, and then that half a second of anger you get after being pranked, she started laughing along with everyone else still inside. She threw on her robe and went after him. 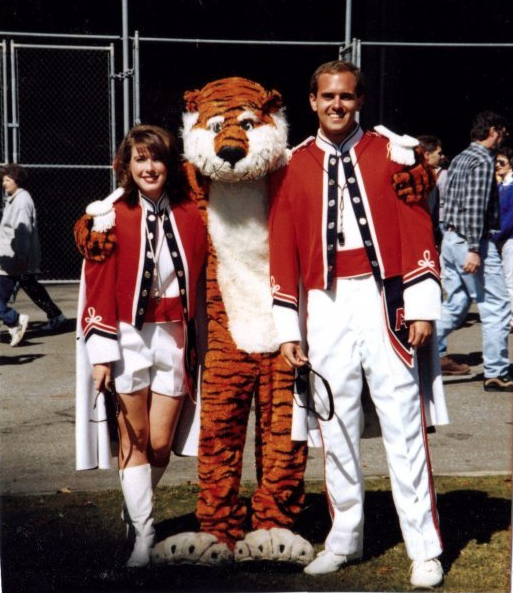 Byrne was drum major in 1995, but Aubie behaved himself during Hurricane Opal. And she knows Aubie still knows. When people bring up the Blizzard, there’s no way the image of her freaking out on the bathroom floor doesn’t flash through his mind, whomever he was. 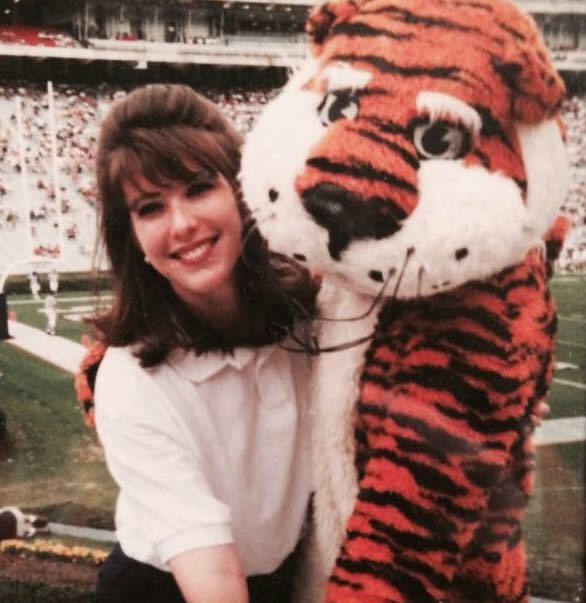 “This Aubie knows, he remembers what he did, he has to,” she laughs. These days, Byrne, a is a stay-at-home mom back in Louisville. She still thinks about it, too. Every time the Blizzard comes up. Every birthday. You don’t forget something like that. Her three kids know the story. Her oldest is looking at colleges now and mom brings up Aubie, the snow, the shower: Where else but Auburn are you going to have fun like that? You can keep more fun stories like this coming by clicking here. Tiger Time was open. The owners had to go pick up the cooks because some were scared to drive to work but they were open and they were packed all day.